Here are some practice exam questions for you to practice. If you find any more, please send them to me. Evaluate Spearman’s contribution to our understanding of intelligence. Compare and contrast a structural model of intelligence and a systems model of intelligence. 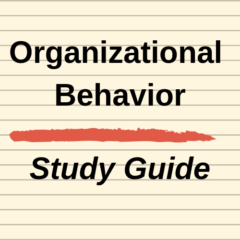 Explain the relevance to organisational behaviour. Define three different kinds of intelligence and evaluate the practical value of each within an organisational setting. Compare and contrast two different approaches to personality.